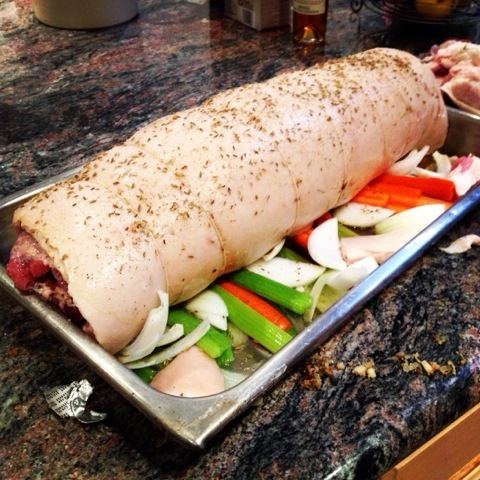 The porchetta is now rolled and tied. Into the oven at 200 degrees for 10 hours. 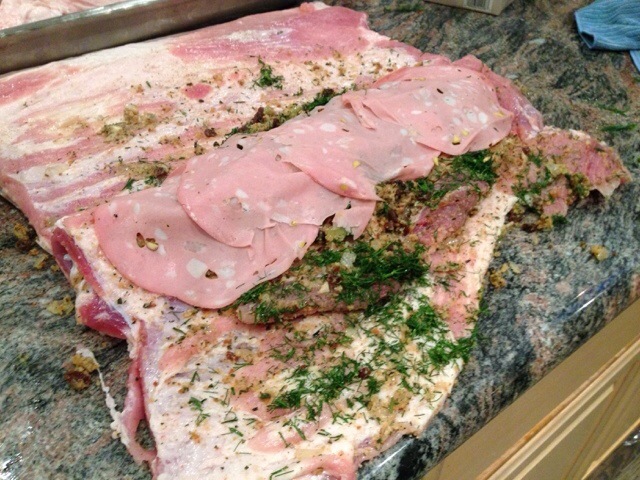 Porchetta is stuffed with a stuffing made of rosemary, sage, thyme, onions, garlic, bread crumbs and vin santo infused raisins. 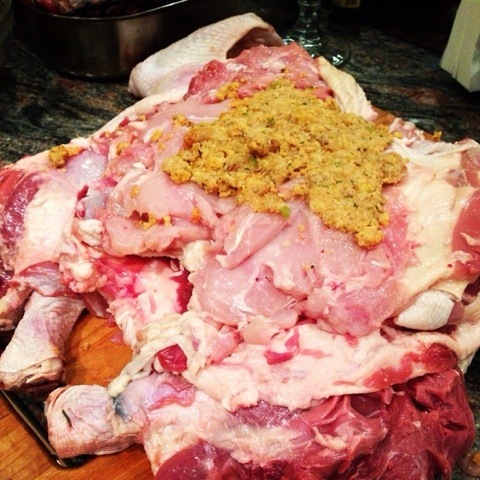 The stuffing is topped with slices if mortadella. 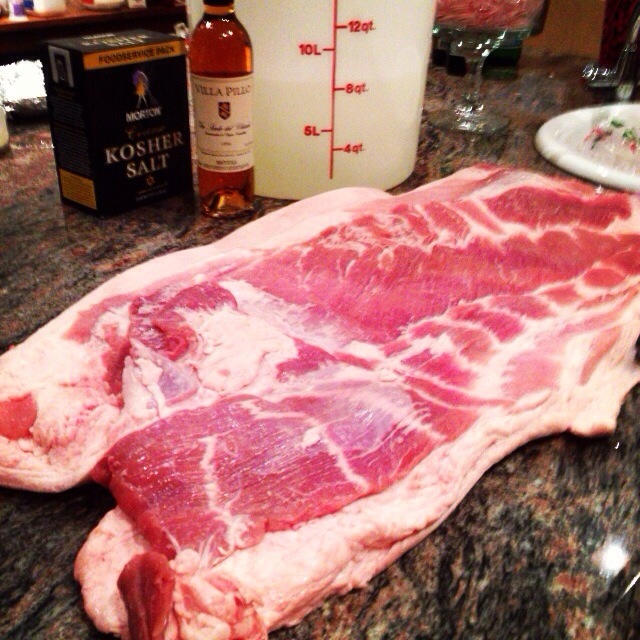 I butterflied the pork pork belly. 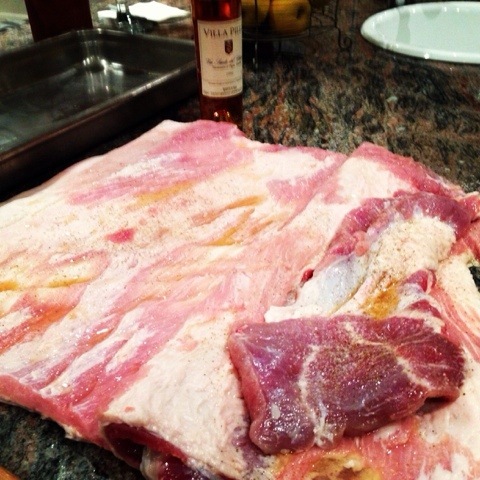 Now I rubbed in some salt, pepper, and vin santo. 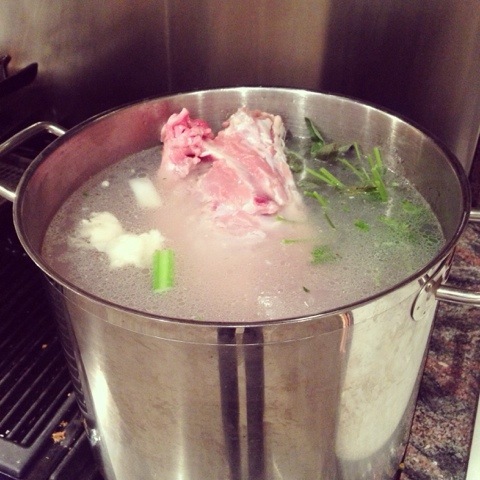 Prepping brine for the pork belly that will be used for Porchetta. The bones of a turkey, duck and chicken and 12 quarts if water. Throw in some onions, celery and some aromatics for 5 to 6 hours over high heat. This should make a tasty gravy. 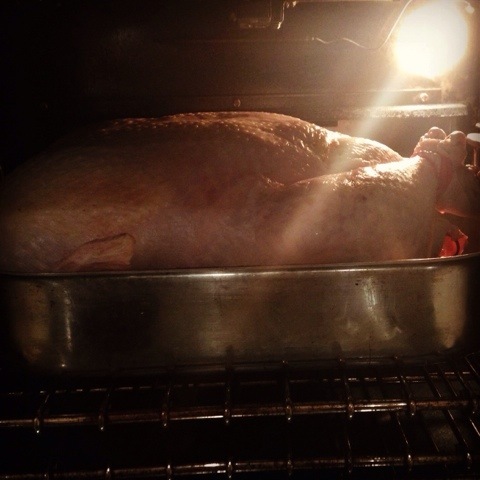 The turducken is now in the oven at 280 degrees for 7 hours. We start with a chicken folding it up around the cornbread stuffing and then threading it closed with a metal skewer. Then we wrap the duck around the chicken and again thread it close with a metal skewer. And finally we wrap the turkey around the duck wrapped chicken and thread it closed. 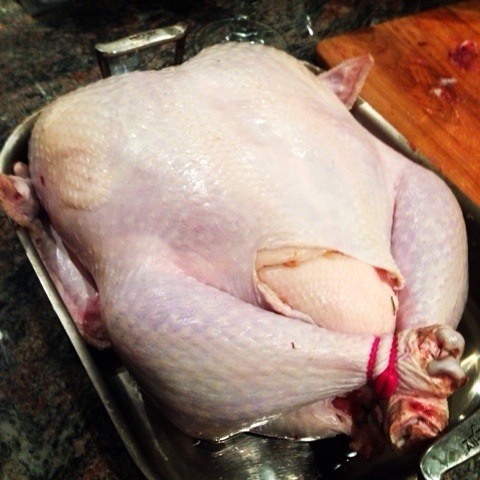 Once completed you flip the turducken over and it looks like a plump turkey ready for the oven. 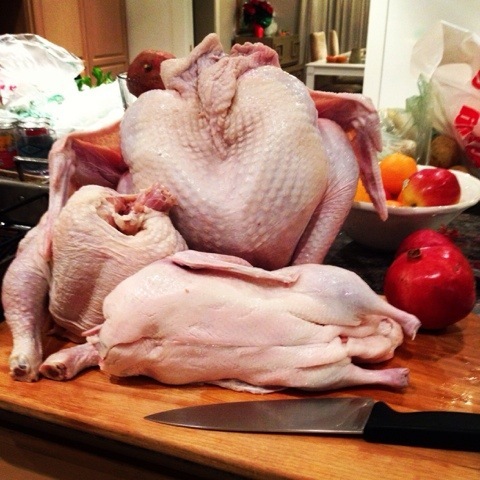 The three birds have been deboned and have been stacked on top of each and layered in between with cornbread stuffing. 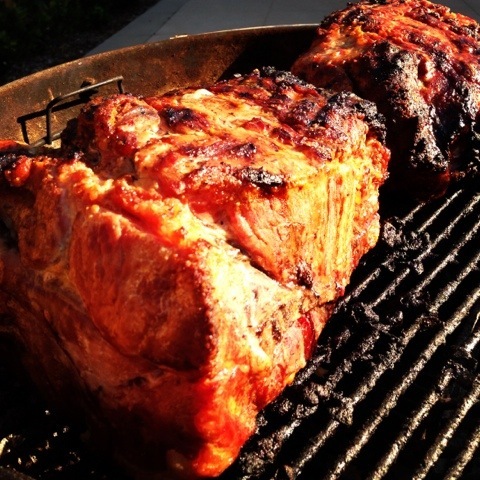 Turducken Cast – chicken, duck and turkey. You are currently browsing the SimpleFoodie.com weblog archives.